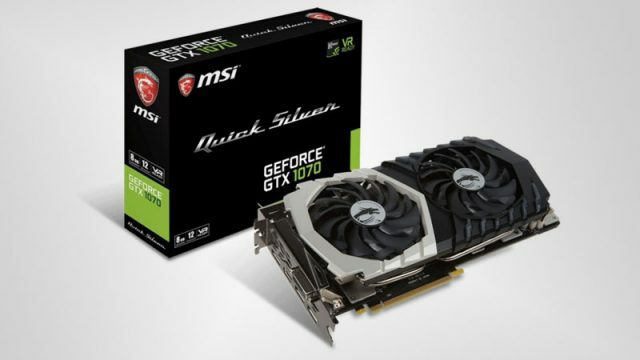 MSI has launched a unique new GeForce GTX 1070 Quick Silver graphics card, and it is available in South Africa. Which is the best GeForce GTX 1070 partner card to buy in South Africa? This is how you can sign up to play Gwent tonight. Looking to upgrade your rig? Check out the best graphics card deals in South Africa this week. Check out the leaked specifications of Nvidia’s GeForce GTX 1080 Ti Pascal graphics card. MSI has launched an exclusive limited edition GeForce GTX 1080 in celebration of its 30th Anniversary. Leaked specifications of Nvidia’s upcoming GeForce GTX 1050 graphics card have surfaced online.